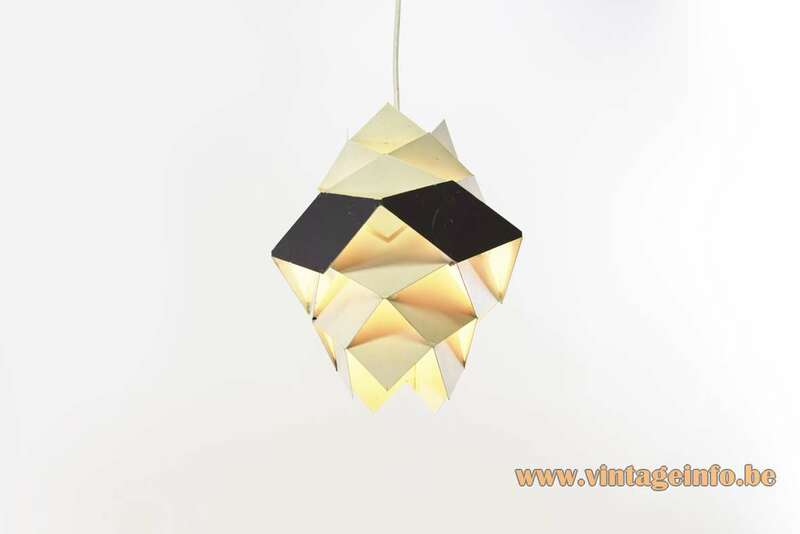 A Symfoni pendant lamp was used as a prop in the film Ruthless People from 1986. A black comedy starring Danny DeVito and Bette Midler. 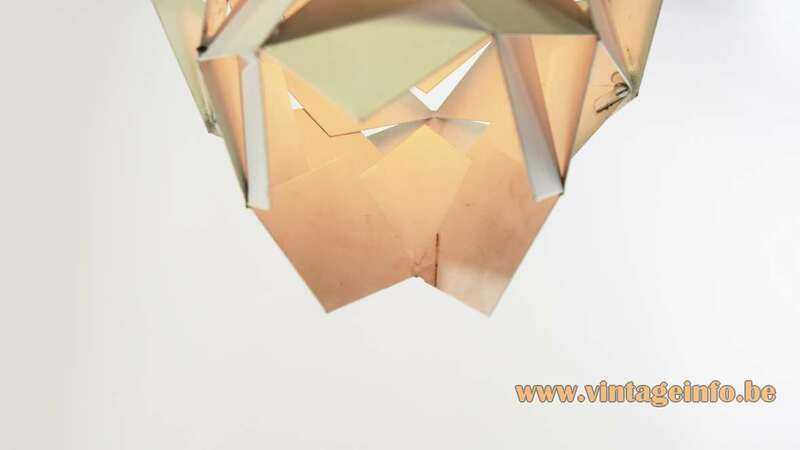 Materials: White and dark grey painted metal (iron) diamonds together in an origami style. Bakelite socket. 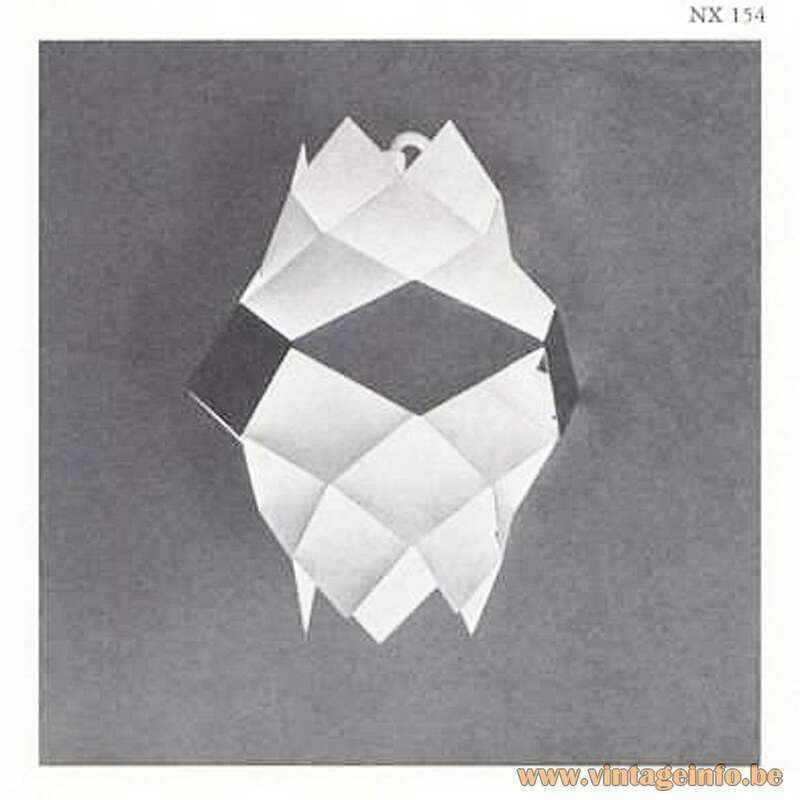 Designer: Preben Dal (1929 – 1980). Manufacturer: HF Belysning A/S, Hans Følsgaard Elektro, Copenhagen, today Hans Følsgaard A/S, Køge, Denmark. Other versions: Made in several variations. All white and dark grey painted. 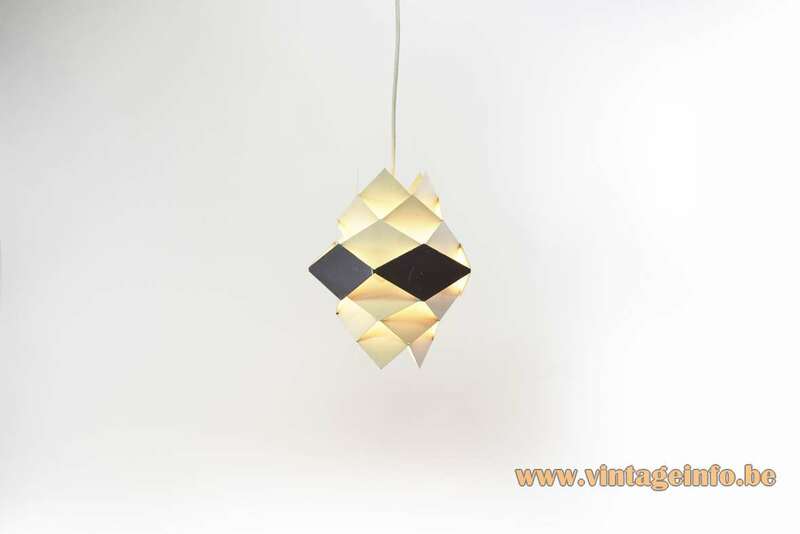 Also produced as a wall lamp. 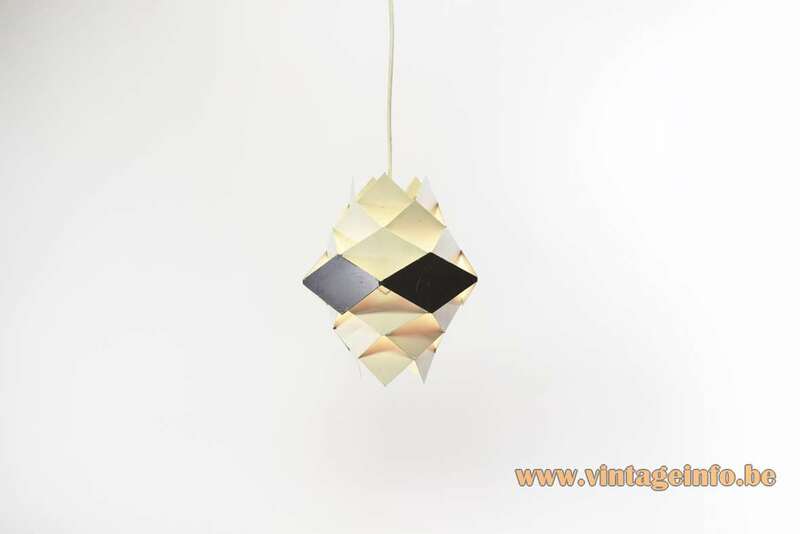 This lamp is model P-016, the smallest version. 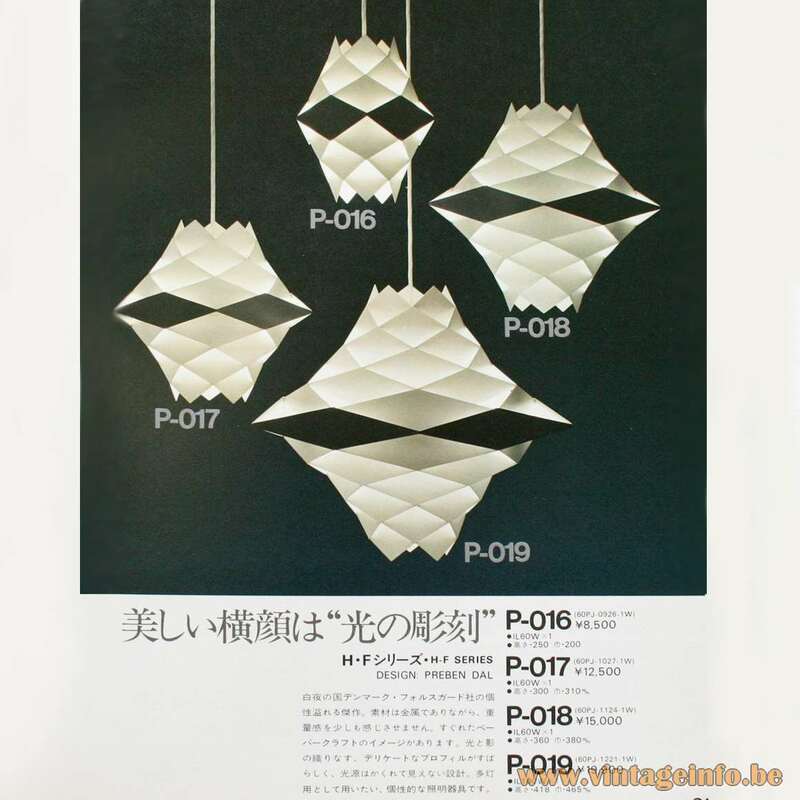 NT 77 model name was used for the Philips lamp. P-016: 25 x 20 cm / 9.84” x 7.87”, P-017: 30 x 31 cm / 11.81” x 12.20”, P-018: 36 x 38 cm / 14.17” x 14.96”, P-019: 41,8 x 46,5 cm / 16.45” x 18.30”. H. Følsgaard Elektro was founded in 1922 by Hans Følsgaard. Følsgaard opened an electrical wholesale in Copenhagen, the capital of Denmark. After World War II in 1946, his son Povl Følsgaard began to import electric components. 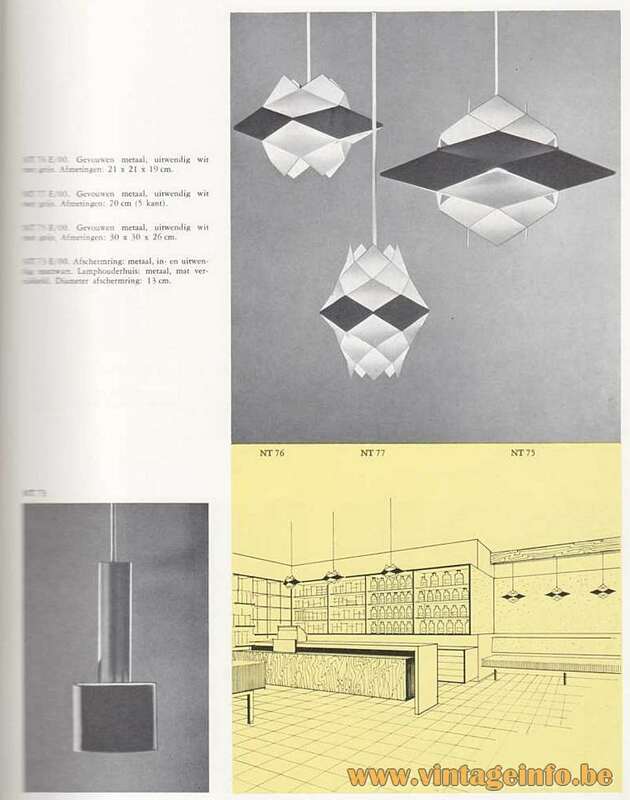 HF Belysning A/S was a subsidiary of Hans Følsgaard Elektro, specialized in lighting production. 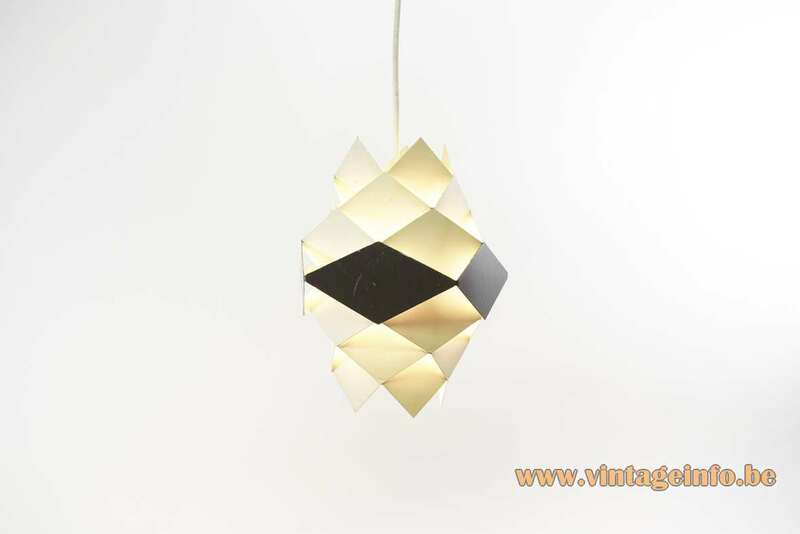 The most famous lamps are the Symfoni light Series, designed by Preben Dal in the early 1960s. In February 2005 Følsgaard was taken over by HF Holding A/S, today owned by Addtech AB. 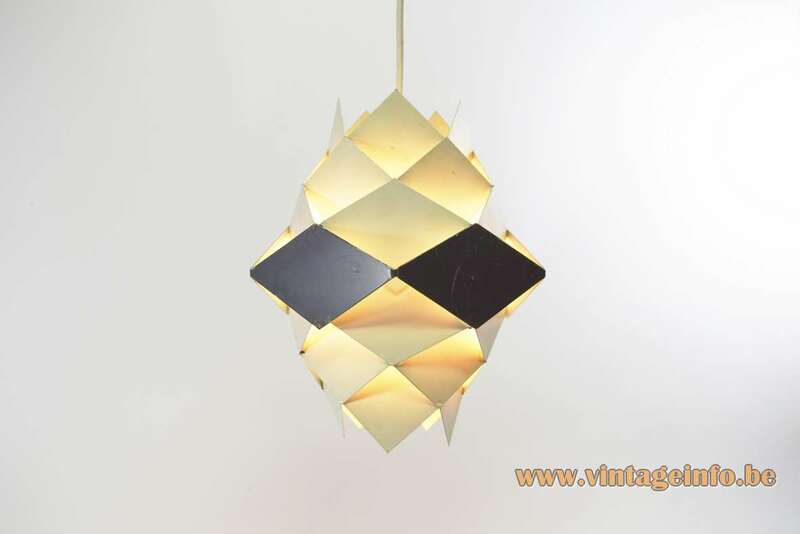 Preben Dal (not Dahl) had a design studio together with architect Ole Bang in the period 1959 to 1976. 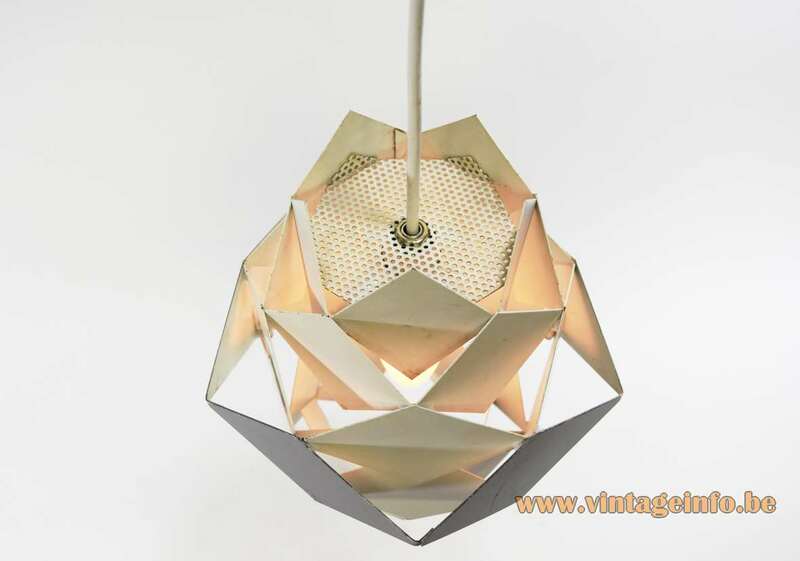 Poul Cadovius (1911 – 2011), famous for his wall unit shelving system, the Royal System he created in 1948, designed the Flower Lamp (RS 25, RS 37 and RS 50). It was made by HF Belysning A/S in 1968, but produced for Royal System A/S, first named CADO after Cadovius. The Royal System was recognized with a Gold Medal at Finland Furniture Fair in 1950 and silver at the Milan Triennale, establishing a benchmark for wall storage design. 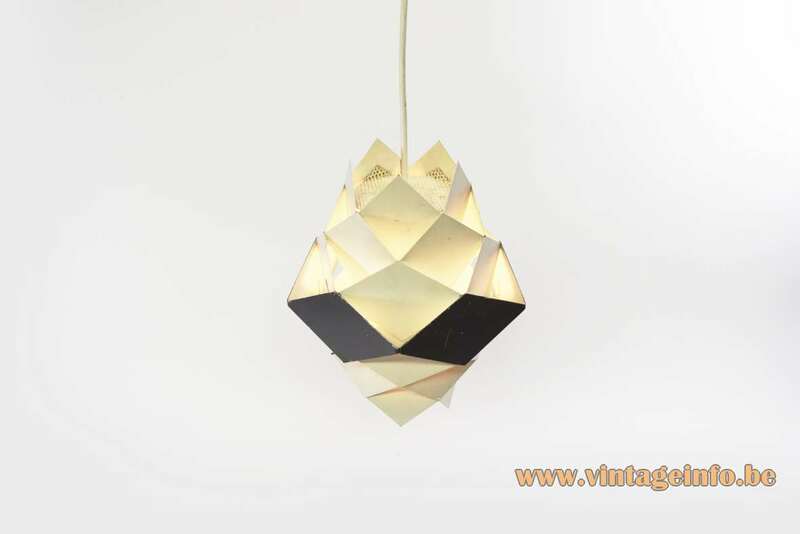 These Symfoni pendant lamps were also sold by Koninklijke Philips N.V. from the Netherlands. It’s unclear if Philips produced these lamps under licence or that they were made for Philips by HF Belysning A/S. Many thanks to Thomas of 1000 Designs for lending the lamp.